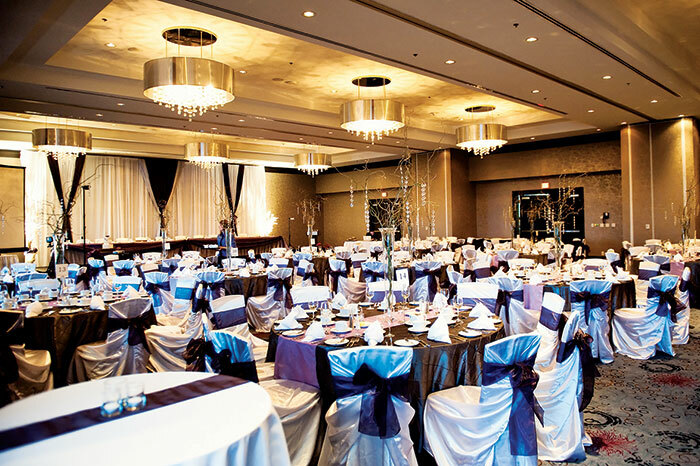 Pinnacle at the Pier is proud to have the largest conference & event facility in North Vancouver. With 8,000 square feet at your disposal, we can configure the right space or room size for any event you may choose – making us the smart choice whether your business event is for 10 close associates or 500 potential customers. “You won’t have to worry about 'wowing your audience'. 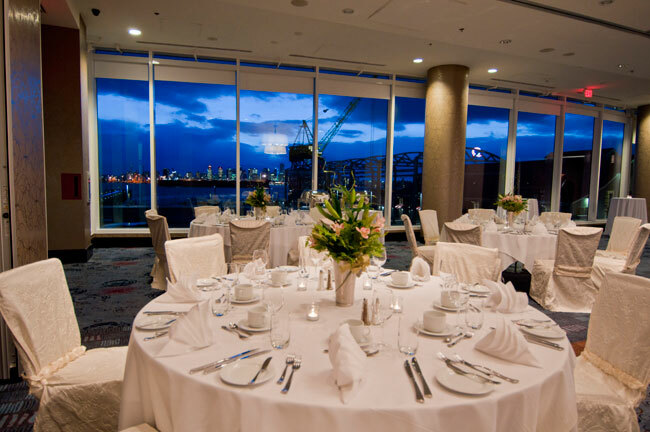 Our event facility feature 16’ high ceilings and floor-to-ceiling glass walls with spectacular vistas of downtown Vancouver, Burrard Inlet and the historic Shipyards. Our hotel accommodation choices offer a range of value, all tastefully appointed for your comfort and pleasure. For more information about conferences or groups, including guestrooms, please contact Suzanne Bidinost, Director of Sales & Catering, by email or phone at 604-973-8009. For More information about catering only events, without guestrooms, please contact Talia Hardmeier, our Wedding & Sales Coordinator, by email or phone at 604-566-8228. We also invite you to fill out our Meetings & Groups RFP Form. Looking for a spectacular wedding location? Take a peek at our rooftop patio ceremony location one of the North Shores best kept secrets.